Treat your new vehicle with the very best in paintwork protection with my New Car Protection Detail. 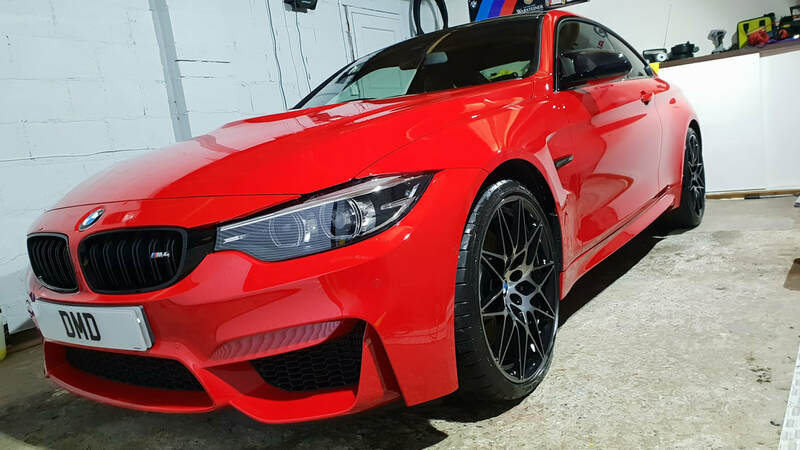 My New Car Paint Protection Package consists of me applying Nano Ceramic Paint Coating Protection which provides from 3 years up to 5 years paintwork protection with the right after care. ​​Treat your new vehicle with the very best in paintwork protection (this can also be applied to used cars). After fully preparing your vehicle with full decontamination process and single stage machine polish I will apply the nano ceramic paint coating protection. 9H Ceramic Paint Coating New Car Paint Protection Detail. The 9H ceramic paint coating is that revolutionary product that creates a superior layer to keep car surfaces strong and shiny, just like a diamond. Specialists in Ceramic Paint Coating Protection For Your Vehicle. • Vehicle polished to create a high gloss finish ready for the application of the Nano Ceramic Coating. • Apply multiple coats of the Nano Ceramic Coating to paintwork, wheels and glass. ​Treat your new vehicle with the very best in ceramic paint coating protection with my New Car Protection Package. Once the Nano Ceramic Paint Coating Protection has cured, the ceramic matrix yields several improvements to the paintwork of your vehicle. 1. 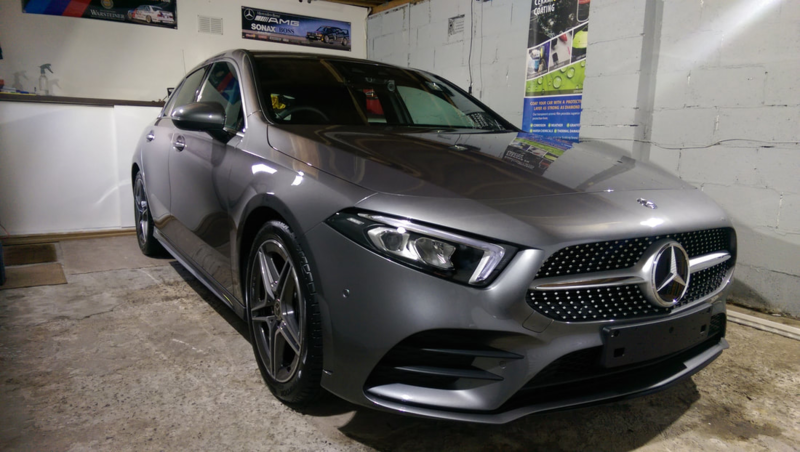 HIGH GLOSS - Applying the Nano Ceramic Paint Coating Protection to painted surfaces transforms the gloss to levels previously unachievable with traditional waxes and polishes. 2. STRONG HYDROPHOBIC EFFECT - Hydrophobicity is the ability of a surface to repel water. With the Nano Ceramic Paint Coating applied to your vehicle, water and dirt will simply run off reducing the need to wash your vehicle. 3. SCRATCH RESISTANCE - Due to the hard nature of ceramics it creates a protective barrier for your vehicle, significantly reducing the chance of damage caused by stone chips and scratches from physical abrasion. 4. LOW FRICTION - The Nano Ceramic Paint Coating adds a low-friction function to your vehicle. This makes it easy to remove contaminants such as road tar, paint spills, bird droppings, bug splats and tree sap from your paintwork without damaging the paint. 5. NO MORE POLISHING & WAXING - The Nano Ceramic Paint Coating uses our revolutionary bonding technology (RBT). The result is that when it's applied to the surface, it reacts with moisture in air to create cross-linked chemical which bonds with that surface. The result is that the Nano Ceramic Paint Coating will last for years, not months when combined with correct maintenance. This means that you no longer have to worry about polishing and waxing your car regularly in order to protect your paintwork. ​All it takes is a one time application and minimal maintenance.